See additional material for the book. 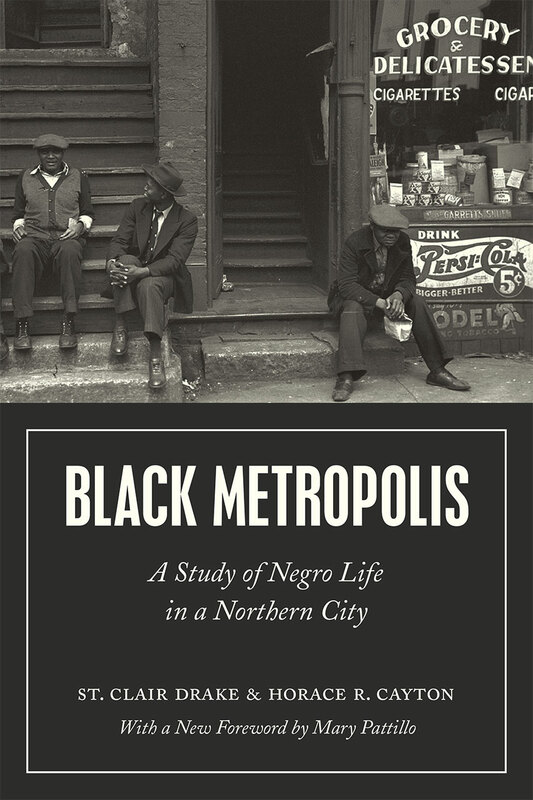 Ground-breaking when first published in 1945, Black Metropolis remains a landmark study of race and urban life. Few studies since have been able to match its scope and magnitude, offering one of the most comprehensive looks at black life in America. Based on research conducted by Works Progress Administration field workers, it is a sweeping historical and sociological account of the people of Chicago's South Side from the 1840s through the 1930s. Its findings offer a comprehensive analysis of black migration, settlement, community structure, and black-white race relations in the first half of the twentieth century. It offers a dizzying and dynamic world filled with captivating people and startling revelations. A new foreword from sociologist Mary Pattillo places the study in modern context, updating the story with the current state of black communities in Chicago and the larger United States and exploring what this means for the future. As the country continues to struggle with race and our treatment of black lives, Black Metropolis continues to be a powerful contribution to the conversation.